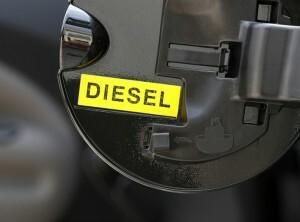 Reintroduction Of The Diesel Scrappage Scheme? There has been a lot of talk again recently about the reintroduction of a Diesel Scrappage Scheme due to the performance of diesel engines when it comes to air pollution. We’re sure that within your business you will have many vehicles which run on diesel, after all it has been the fuel of choice for company cars and vans for years due to them being more economical in many ways. But now businesses are becoming more socially conscious and are opting for Petrol, LPG or even electric powered vehicles, however there is still a large amount of company vehicles which run on diesel. The Government are looking to re-introduce another Diesel Scrappage Scheme similar to the one that was introduced in 2009 but experts from the RAC Foundation are warning that this kind of scheme is unlikely to have a significant impact on air pollution. Steve Gooding, Director of the RAC Foundation, said: “Instinctively a Scrappage Scheme to get the oldest, dirtiest diesels off the road seems like a good idea”. But the RAC Foundation’s analysis say that alternatives should be looked at such as increasing the number of electric charging points. They also say that the reintroduction of a Diesel Scrappage Scheme to get rid of some of the dirtiest vehicles on the road would in actual fact only remove a portion of the 1.9 million offenders. In the UK there are an estimated 40,000 people that die from air pollution! Not all of those deaths are related to diesel emissions and include contributing factors such as tobacco, mould and mildew. Although according to Healthy Air diesel fumes are responsible for 70% of air pollution. So for now we will let the powers that be battle out the argument for and against the Diesel Scrappage Scheme but we would be interested to hear your views. We’ve also got a Twitter Poll going at the moment to find out which fuel your company car uses so please take a second to vote!